It had been a serious flood in Thailand since September. This is a hard time for the Thai peoples to fight against this disaster flood. 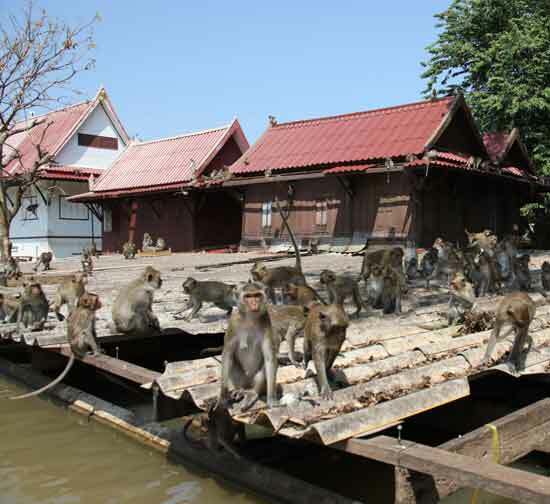 Thailand is a Buddhist country that love life no matter human or animals. Their peoples are helping each others to overcome this hardship, on the other hand they also helping the vulnerable animals such as cats, dogs, birds, chickens, elephants and etc. A few non profit organizations such as Elephant Nature Park Organisation and Soi Dog Foundation they are working very hard to save as many animal victims as they can. As according to Lek (Founder of Elephant Nature Park), the rescue journey was difficult because the roads were deep in flood water. The journey would normally take 2 hours but it took them over 10 hours to reach the destination. She said, it was horrible to see so many dogs and cats drowned from flooding; some of them were left inside submerged cars; some of them died in their cages. But with their efforts, they also manage to release many dogs and cats from their homes where they had been abandoned. Many suffering animals went on top of the roofs and the rescue team brought food to them, but the poor dogs and cats were so traumatized that some of them went into shock and could not breath; some were in critically poor condition and lung problems along with pneumonia. Lek said she was glad that they also released many birds trapped in the cages. 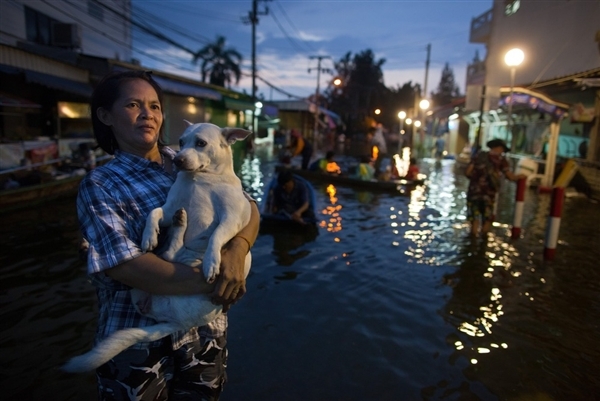 Lek estimated there are more than a thousand dogs was drowned in the flood. The rescue team manage to move about 600 of the pets to the new dry land. Their veterinarians are now taking care of the pets by providing medicine and food supplies. Besides that, there are thousands of monkeys are starved and many baby monkeys had died. Moreover, there are hundred crocodiles were released out of a farm by flooding, the hungry crocodiles are waiting to eat the weak one to fell from the trees. Please visit Elephant Nature Park Org and Facebook or Soi Dog Foundation play a part to save the vulnerable animals.